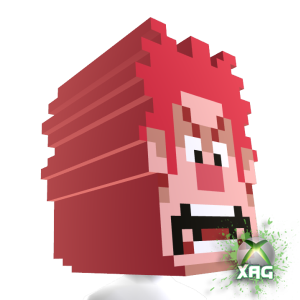 Wreck-It Ralph XBOX Avatar Code Giveaway!! Today we are proud to announce we are starting the next XAG Code Give away. 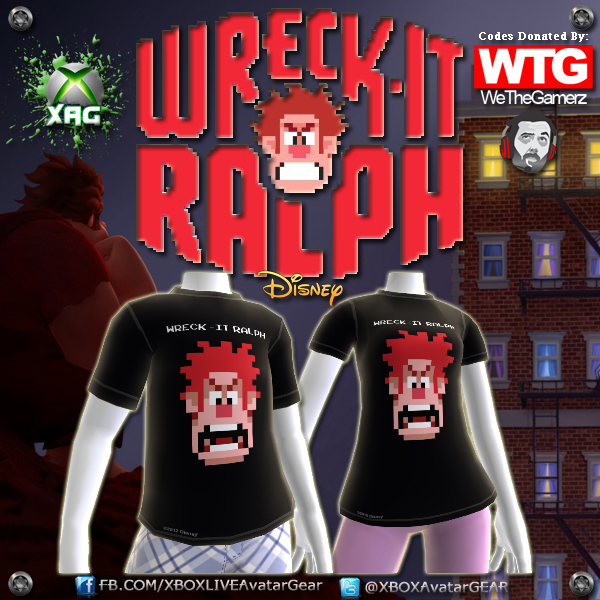 We are giving away a Male and Female Wreck-It Ralph XBOX Avatar T-Shirt E3 2012 Exclusive to two lucky winners. 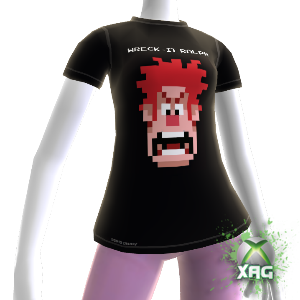 These Avatar Shirts are VERY rare and were given out to people at E3 2012 to promote the new Disney movie Wreck-It Ralph. 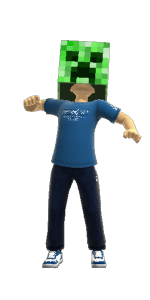 Also BIG Thanks goes to www.WeTheGamerz.com for donating the codes. Please check them out! We have decided to try and use the Rafflecopter so you will need to do a few things to enter. Please follow this link to the Facebook Raffle App. Tweet about the contest each day for more points to win. Like and leave a comment below telling us your favorite Disney Movie of all time. 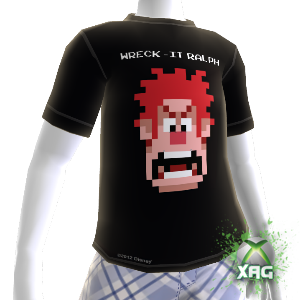 Another E3 2012 Exclusive spotted, this it an XBOX Avatar T-Shirt to promote the new movie coming from Disney Wreck-It Ralph. Movie doesn’t look to bad and the Avatar shirt is pretty cool. We hope to get our hands on some, if we do be sure we will hand them out to the fans.